Mumbai: As per Prime Database Investment Bankers League table for FY 2017-18, IIFL is India’s top investment bank for equity issuances by private sector companies. IIFL Holdings Ltd. (IIFL) is a category I Merchant Banker and a part of leading diversified financial services group. IIFL is a publicly listed company and is engaged in investment banking, securities dealing, wealth & asset management and loans & mortgages. 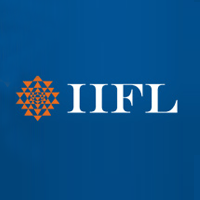 During the financial year 2017-18, IIFL completed twenty seven investment banking transactions including eleven IPOs (Initial Public Offers) and eight follow-on transactions involving listed companies which catapulted it to the top rank as per Prime Database investment banking league tables on the basis of equity raised for private sector companies. IIFL has been among the top investment bankers in India over the past few years in terms of capital raise. “IIFL assisted, on an aggregate basis, in raising about Rs. 48,000 crores of capital in the year 2017-18,” a release said. “We have leveraged our strong distribution platform across institutional, wealth and retail segments to build a robust investment banking business. A key hallmark of our growth has been repeat clients. We believe in hand holding clients and working with them across their life cycles to provide the right advice. We service clients across the size spectrum covering mega caps, mid-caps and even smaller companies. Our research is ranked highly in the internal rankings of leading institutional investors and we cover close to 250 stocks in the listed space. We are empanelled with more than 400 institutional investors both in India and globally,” H. Nemkumar, President-Institutional Equities & Investment Banking at IIFL said. IIFL has been the preferred banker for most marquee deals in India in the last financial year. The list of IPOs includes ICICI Lombard General Insurance, HDFC Life, Reliance Nippon Life Asset Management, Future Supply Chain, Shalby Multi-Speciality Hospitals, Indian Energy Exchange, Security & Intelligence Services, Dixon Technologies and Capacite Infraprojects. IIFL was the banker for the largest QIPs like SBI, HDFC, Federal Bank, Deepak Nitrite and Vardhaman Special Steels Ltd. It also managed the rights issue for Karur Vysya Bank and the first InvIT in India for IRB.